What am I going to do with the vest now ? 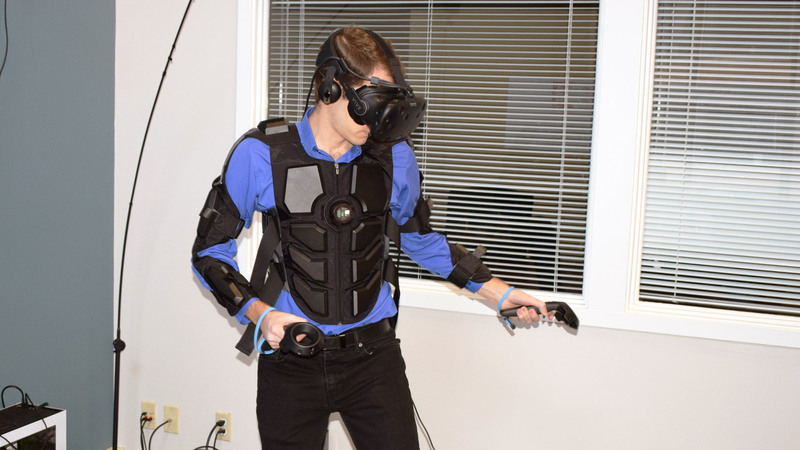 Hardlight VR Suit - Don't Just Play the Game. Feel it. Comfortable. Sweatproof. Lightweight. Works with VR & PC platforms & games. 16 positional haptics sensors & vibration nodes. Feel VR. I did not take part to their kickstarter campaign. I purchased the vest from their page. They listed it as available for sale and at a lower price compared to the initial price. Also the wireless module was for sale on their product page and I bought it with the vest. That definitely looks like false advertising. Further development will hopefully. Work through opensource community but may take awhile. Tpcast is said to work better with tge opensource version on their driver/program. Yes true. I used both the tpcast drivers and the open source is way better. Hopefully someone will develope an open source software better than the one that came with the vest. About the wifi module, the problem is who is going to manufacture a wifi module for the vest ? That unfortunately might never come to pass. Agreed. Didn’t they even decrease the price from the ks one to boot? But yeah we should all be more thankful that pimax seems to have things together in comparison. Yes. I bought it when the price decreased. I’m already on it to create a wireless solution with a powerbank and a mini router. What i still have to manage is to mount every part together to the vest. That’s awesome! HackAday may have useful projects on this as well. Great! Thank you so so so much!